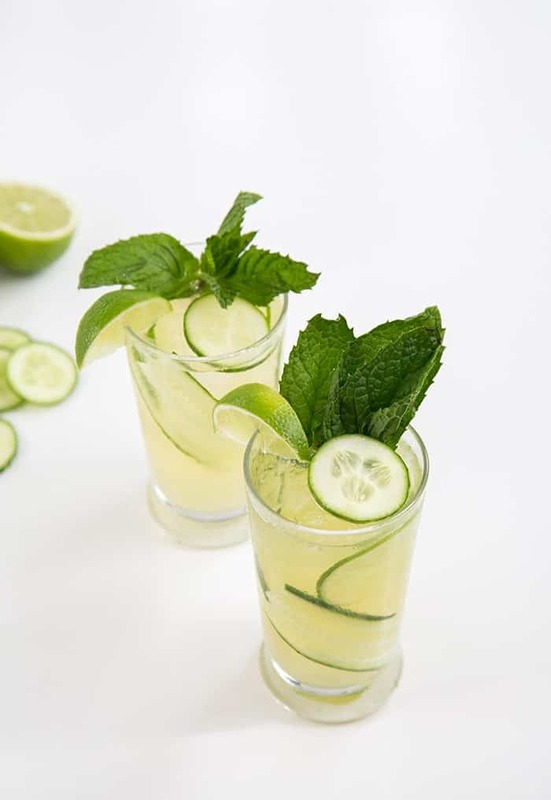 Step up your traditional gin and tonic with the addition of mint syrup and sliced cucumbers. This sparkling cucumber mint gin is soon to be your new favorite summer cocktail! I assumed the most difficult part was finding the person you’d want to spend forever with, someone that you would agree to make vows and promises to in front of everyone important in your life, meeting someone that would accept all your little quirks and flaws and love you for you. Well. Apparently that was the easy part for me. Now, wedding planning, THAT’S the painful, I want to pull my hair and scream as loud as I can, part. The amount of choices for every little detail is… in one word: INSANE. Even finding a venue has been so exhausting and time consuming. I spent the last three weeks, making appointments, touring sites, and writing pros/cons list. Anyway, despite my initial stress and extreme hatred for wedding planning, I am happy to say that we’ve settled on a venue and a date! YAY! Woohoo! Cue the band! This is a cause for celebration! Since we’re in the middle of a heatwave here in LA, this drink is on the menu all weekend long. 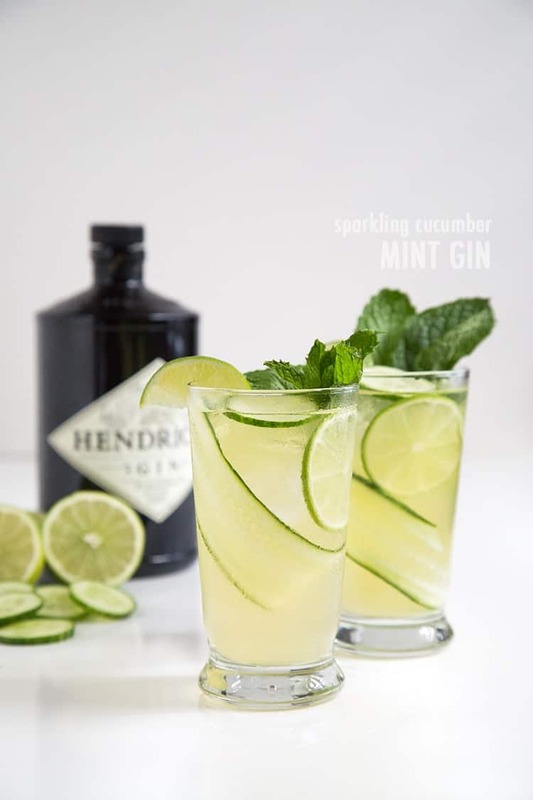 This sparkling cucumber mint gin is the ideal cocktail to sip outside during these hot summer nights as you wait for the sun to set and the sky to turn orange. It’s a boozy spa water cocktail! If you’re feeling extra, you can also serve this alongside cucumber sorbet for the ultimate refresher. Cheers and happy weekend, friends! I hope you stay cool and stress-free this weekend! In a serving glass, combine lime juice, gin, mint syrup and sparkling water. Garnish with sliced cucumber and sliced lime. Top glass with ice. Add additional mint syrup, according to taste if desired. Serve immediately. *Mint syrup: Bring to a boil 1 cup water, 1 cup sugar, and a handful of torn mint leaves. Remove from heat, cover pot, and allow mint to steep for 30 minutes. Strain mint and store mint syrup in the fridge until ready to use. I’m in for some sparkling cucumber mint gin any day Maryanne! Sounds perfect for the heat wave we are having here! Summer’s not over yet!! YAY! I’m definitely going to need to give this a try! 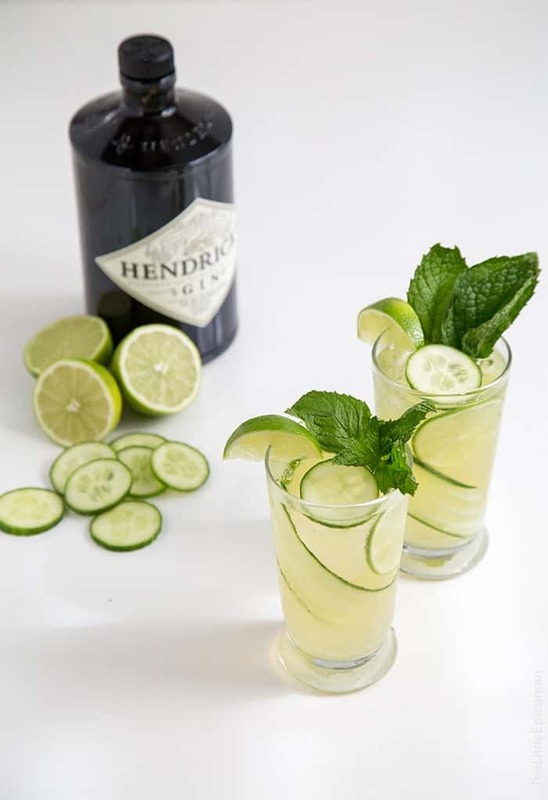 LOVE the combo of mint + cucumber (and the gin sounds like a perfect addition — hehe). You are now my favorite blogger! This looks so refreshing! Okay, first of all you have the most adorable profile photo ever! And this drink? Perfection. Absolutely gorgeous and looks so refreshing. Pinned! Yummy, lime and mint! This must be so refreshing! Congratulations! Planning a wedding is so stressful, but boy is that day the best party ever! Until you get there I’m sure a few of these delicious drinks will see you through. Oh yes please. Love me a cocktail at any time especially if it has mint in it!! These look so refreshing! Good luck with wedding planning! Thank you for such an amazing, and refreshing summertime drink. this looks so SO good. making it this weekend. Beautiful photos as well.